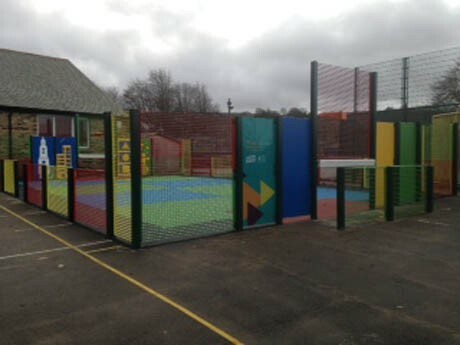 This project formed part of the Sport England Primary Spaces with the key focus on improving children’s physically literacy and providing them with a fantastic sports facility in which they will aspire a love of sport through play. The original bid that the school had submitted to Sport England to be considered for grant award needed revisiting and our design team and Schools Specialist worked closely with the Deputy Headteacher to finalise a perfect outdoor sports and play area. 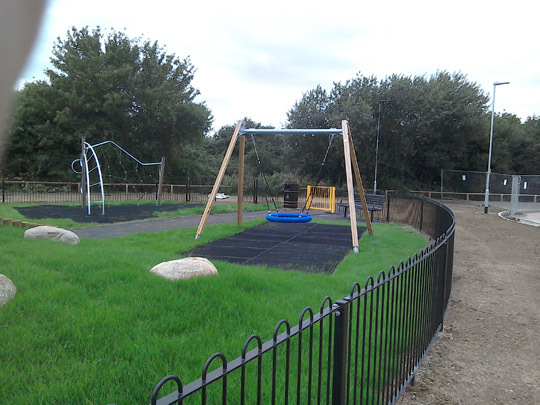 In reducing the size of the original PS4 multi use games area sports arena the resultant play area worked perfectly leaving a large area of free play space for the children and allowing the existing playground equipment and safety surfacing to be uninterrupted. 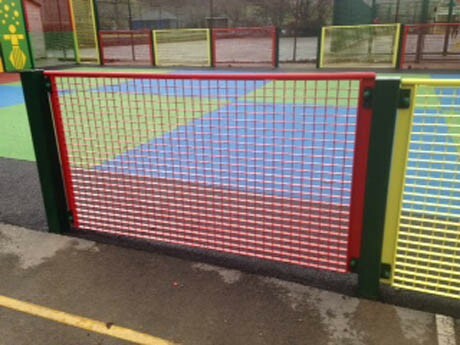 The Multi Use Goal Ends were enclosed with 1m high rebound mesh fencing to 15m x 10m, providing an outstanding sports and play space for multiple groups of children, enabling multiple sports to be coached at any one time. 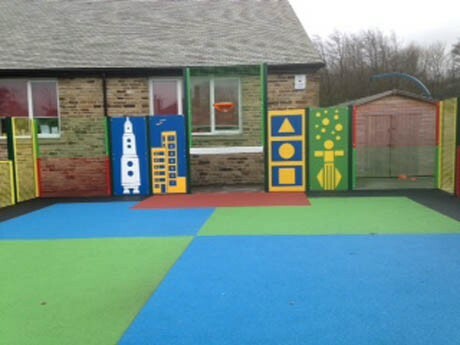 The stunning Flexiplay wetpour safety surfacing was laid in blocks of colours providing clear sports and play zones in line with the Sport England design remit. In terms of installation, this site was quite a challenge for Team Pennine, as Oxenhope Primary is situated in quite an exposed aspect and the weather was far from kind to our installation team. True to form in Yorkshire, they battled with snow, ice, gail force winds, rain and sleet, then a bit more snow and ice. However, resilience won the day and the finished project has been much admired and appreciated by the school children, staff and visiting sports coaches. 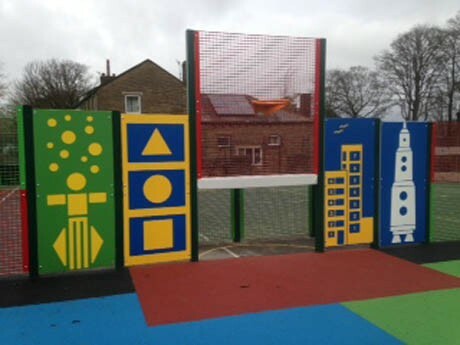 I am writing to thank you for the way that Pennine Playgrounds carried out the work on the Sport England Primary Spaces project at Oxenhope. From the moment of tender it was clear you could see the vision that we had for the playground and understood the component parts of the bid well to offer support from the beginning. The admin side of things, which I was initially very wary of, was taken care of efficiently and you were always there for follow up questions which were answered promptly when required. 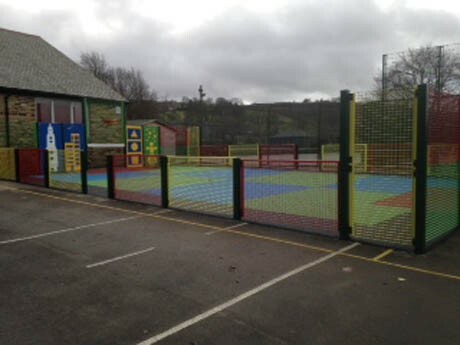 The installation itself ran very smoothly – so much so that it took place during our Ofsted without a hitch and despite the best attempts of the Oxenhope weather your team were unfailingly helpful and in good spirits. I know you had to contend with various quantities of rain, hail, sleet and snow and that the last day of work was a hard one to fit in. Please pass on our thanks to the team on the ground – even when we asked them to unlock, open, close, lock, repeat and in all of the above weather during the installation in order to keep the playground secure at key times this was done as part of the job and the staff were understanding of our requirements as a school in terms of keeping children safe at all times. I mention this because everything we required of your team was accommodated without a fuss and it made such a difference to the way the installation was perceived by all members of the school community. The follow up inspection by the independent advisor threw up no issues and your advice on the surface and how it would weather was timely and accurate. 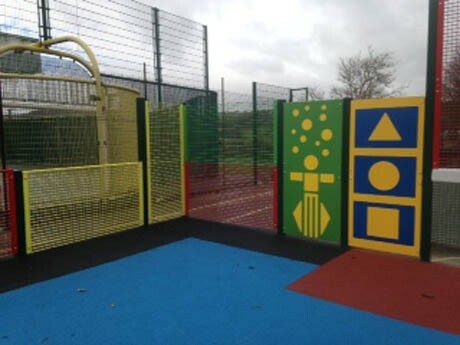 The sports facility is used daily now by the children and has proved to be a big success – both in raising the profile of sports other than football and in general playground use. It has enabled us to provide sport specific coaching in hockey, netball and football and the soft area is used to sit on for classes during lessons taken outside in the playground. It is regularly used by before and after school club and the children enjoy having such high quality provision in the school, as do the staff. 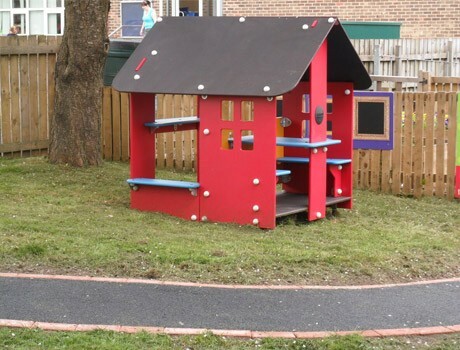 In the Reception playground the children now have a soft surfaced area for circle games which has improved the provision greatly for our younger children. 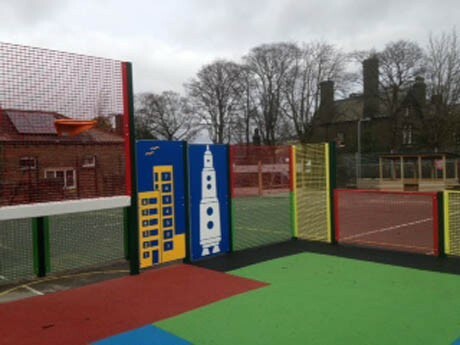 Both areas you have developed are high quality and I would have no hesitation in recommending Pennine Playgrounds to install future sports areas within schools.